Western Sydney University’s complementary medicine research institute promotes good news and ignores bad, critics say! There are two very important aspects that the public should consider regarding any new medical treatment. Are there benefits and is this backed up with scientific evidence. What are the risks associated with this treatment. Based on these two aspects, benefits vs risks, a consumer can make an informed decision. Usually when doctors or professors overemphasise the one aspect over the other then you should know that they probably have a “financial” finger in the pie. If the benefits are overstated and the risks ignored – then they really want to sell you this stuff. Recently the NICM made the headlines. A newspaper article states “UWS complementary research institute promotes good news and ignores bad, critics say.” The overall impression is given that the NICM is misleading the public and the work that they do is completely dependent on what the CM industry wants. An example is given where research conducted at the NICM was being sold to the public in a misleading way – which the NICM of course denies. This specific study reports on the positive results of a 20-herb TCM clinical trial for people suffering from Irritable Bowel Syndrome (IBS). The misleading way in which the NICM sold this result to the public via radio interviews have been described here, here and here and the main reason for them to do this seems to be money. They had a golden opportunity to tell the public the whole story which they again failed to do. They use the term “highly cited” as an indication of quality and validity of their study. This should now convince the reader that they are doing high quality independent scientific research, thus you can trust the results. But an educated guess is that most of these citations originates from China where bizarrely enough close to 100% of clinical trials conducted on herbal TCM give positive results. A UK study on the other hand gave a much more balanced view and concluded that the major finding is actually ignored and that the results are optimistically interpreted. But this is not really the point. Nowhere will you find the very important aspect of “risks”. Yes, the study concluded that there seems to be some benefit for IBS sufferers but no mention is made of the very long list of risks associated with taking herbs. The reason why they combine 20 herbs is to improve their chances of finding at least one molecule that will have a beneficial effect – I call this the shotgun approach. The problem is however that by doing this you also increase your risk 20-fold. It is however unfortunate that even after all this information was made available to the NICM they continue to provide the public with misleading information – and the recent newspaper article just confirms this. The NICM only focus on the positive results of their study and they completely ignore the negatives (risks). They will not change their stance and will continue on their path. However, the main positive outcome thus far of this newspaper article is that I have been contacted by the office of the NSW Minister of Health regarding this matter and hopefully this will now get the ball rolling. Unfortunately, if you fall for their trickery and you get hurt, then you will be all alone. The bureaucracy involved is extremely complex so the best thing to do is prevention. Stop buying their products or using their treatments, and inform yourself and your family and friends about how these people play their game and what the dangers are regarding these ‘treatments’. ‘Friends of Science in Medicine’ provides valuable healthcare information as well as the website of Prof Edzard Ernst, where he discusses everything complementary medicine (what works and what doesn’t). If you are interested in receiving automatic updates regarding the NICM and what they are up to, you can always follow my Blog, Twitter or connect on LinkedIn. 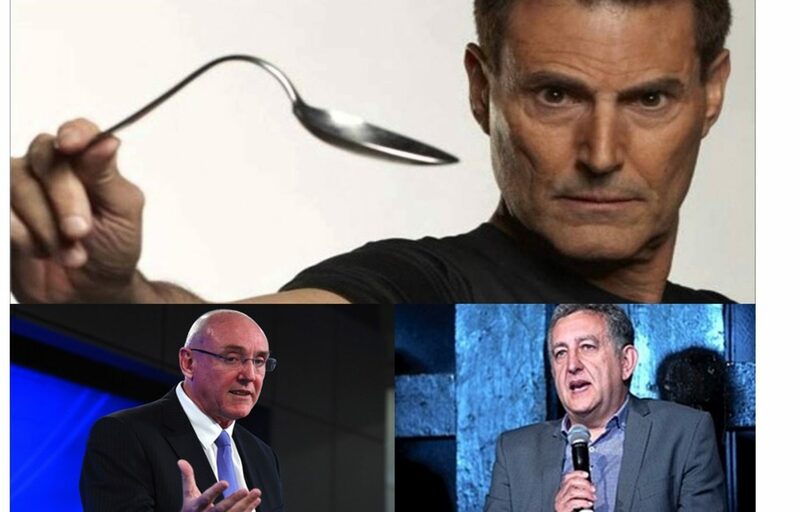 Will keep you posted regarding the outcome of the 2017 Bent Spoon awards (the NICM has obviously been nominated), and please, ‘Like’ and share this article via FaceBook etc. – options below.